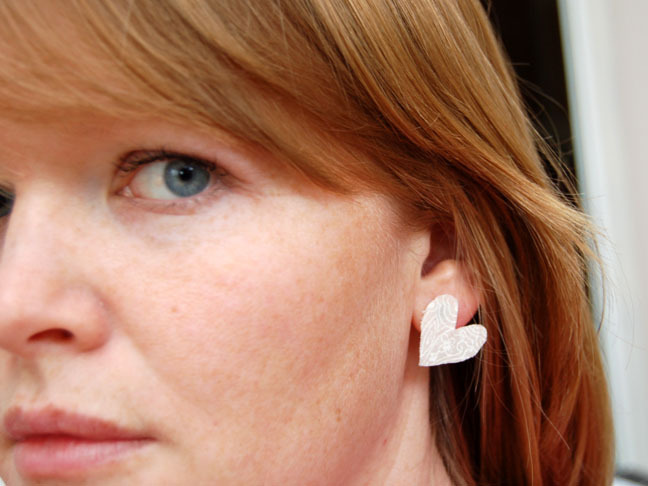 Who can resist making loveable, heart shaped earrings for under $1.00? These are made from cotton scrap fabric. Give it a try! 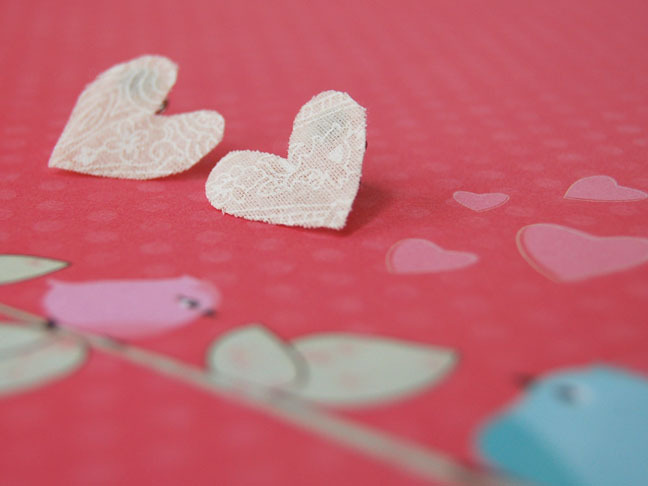 Cut out two identical heart shapes from cotton scrap fabric. Lay out on a flat surface. 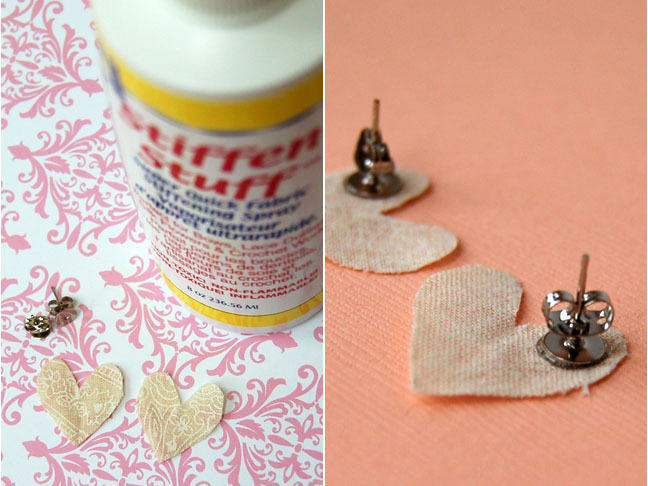 Spray the heart shapes with stiff stuff and let dry as per stiff stuff instructions. I let mine dry over night, but you can microwave it if you are in a hurry. One coat of spray seemed to make the fabric firm enough. If you want the hearts really tough add more coats. Hot glue the earring posts to the back of the hearts.